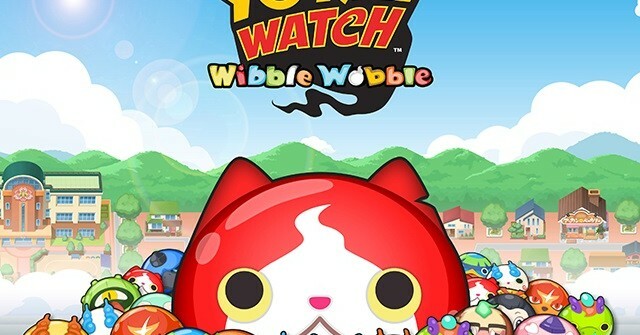 Yo-Kai Watch Wibble Wobble is a puzzle game for Android and iOS devices and now available for Windows and Mac operating systems. The game is an incarnation of Yo-kai, a Japanese franchise. The only difference from the core franchise is that Yo-kai will be given to you as Wib Wobs, smaller creatures of your ghost companions. Now you will have to go out and defeat or befriend other wild Yo-kai. You will face off against wild Yo-kai in each stage and you have to pair up swiping the same Yo-kai. This makes your Yo-Kai to get bigger and better (depending on the amount of like pairing) and then you remove them by tapping the Yo-Kai. 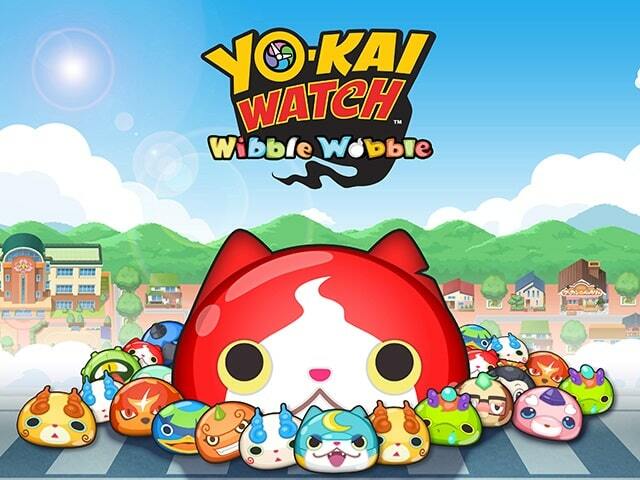 Komasan, Jibanyan, and all your favorite Yo-kai have grown larger so you have to turn them into adorable Yo-kai wib wob! Connect them! Pop them! Tap them! Befriend them! Once you warm up, you will feel to wibbly wobbly, too! 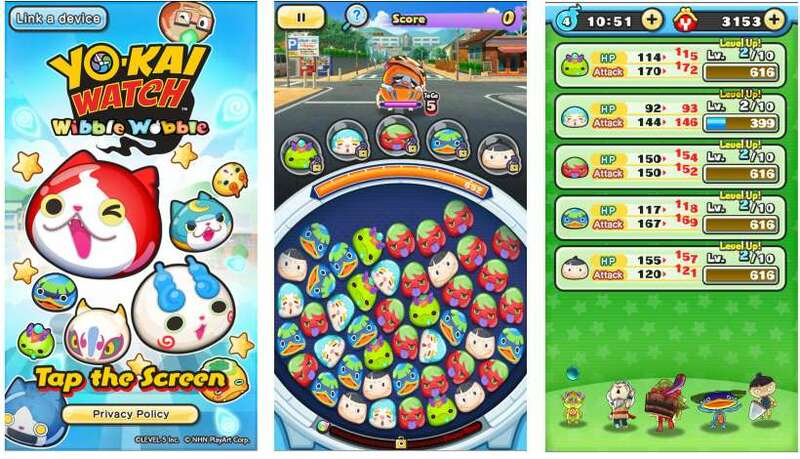 Connect and pop: swipe to pair matching Wib Wob and watch them grow larger. Pop them to damage your opponent. The larger the Wib Wob, the bigger the damage you deal your opponent. Easy gameplay: just tap pair and pop Yo-kai characters to become your friends. Connect matching wib wob until they grow bigger and stronger together so that they unleash a powerful damage to the opponent. Tap click mouse on your PC to help all Yo-kai characters such as Komason, Jibanyan and others wobble on the screen. Yo-kai Watch is fun to play especially if you have a better awareness of Yokai Lore. This game relies pretty much less on interval to force gamers to pay to continue. You may run out of lives but you can choose to use in-game coins you earned while playing to increase them if you become impatient with waiting. Warning: Yo-Kai Watch Wibble Wobble servers shutted down and it is been removed from iOS and Google Android App Stores! Sometimes when playing Yo-Kai Watch Wibble Wobble, bluestacks ask you fee to pay but gives you option to download some apps. Every time it asks you just select “Install apps” and continue using it free. I hope you enjoyed this guide, please rate and share. If you have problems running Yo-Kai Watch Wibble Wobble on desktop or any other issues, leave a comment below.